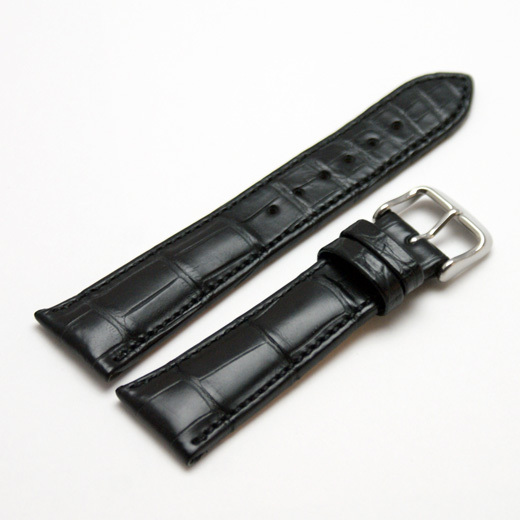 Finest Quality, hand made in Germany using a fifty step process and with a keen attention to detail, this semi gloss black watch strap is made of genuine Louisiana alligator with a soft nubuck lining. 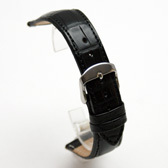 Thick / chrono padded it is ideal for modern sports watches and chronographs. 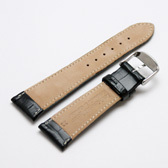 Note: As these watch straps are made from alligator skins the grains will vary from item to item, which makes for truly individual straps.